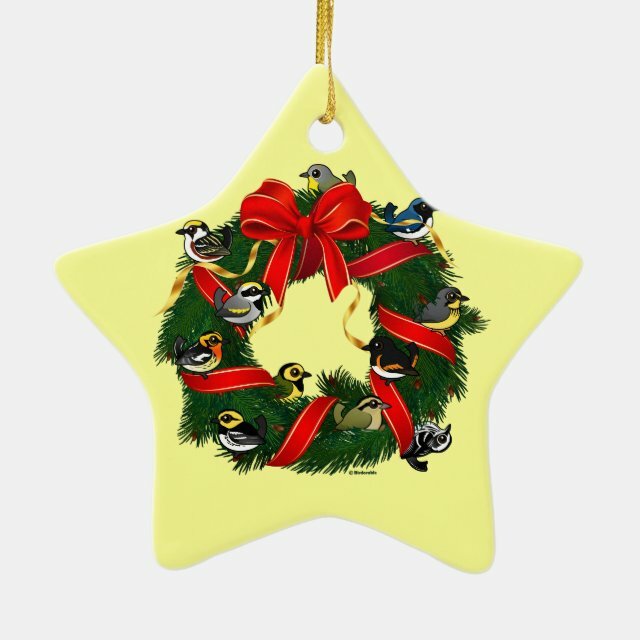 A small mixed flock of colorful warblers join a red ribbon in decorating a holiday wreath. This is a darling Christmas design for anyone that loves those winged jewels we call warblers. You can customize this gift! Move the wreath around, change the background color or style, add text or images -- make it your own! Our star ornament measures 2.87 inches in diameter and weighs 1.125 ounces. Printed on both sides in full-color on white ceramic. A strand of gold thread makes it easy to display this fantastic keepsake.